Buy Originally Awesome Granola Jain of Whola from Vadodara online | Authentic Indian Sweet , Savories and Delicacies from the place they originate by Moipot. Are you a Jain? 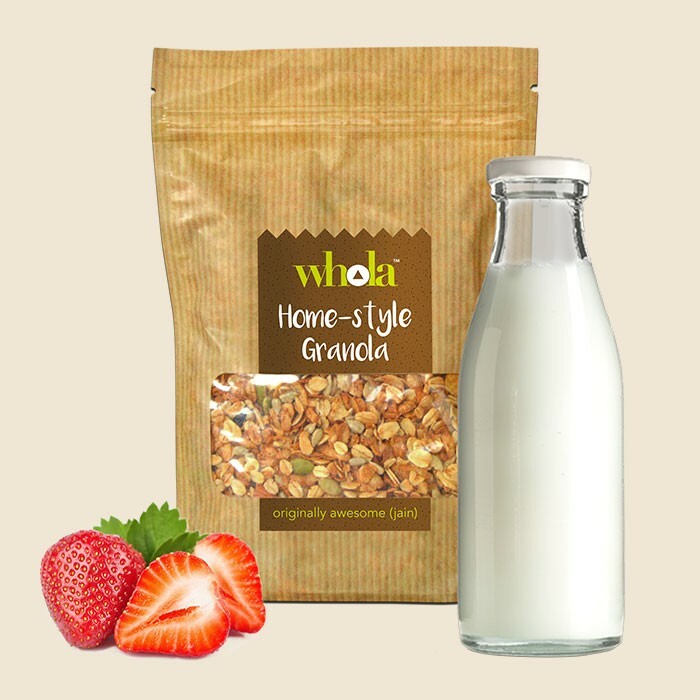 Don’t worry, Whola also has a Jain option of home style originally awesome granola for you. Relish a healthy mixture of rolled oats, oat flax, wheat flakes, corn flakes, cashew nuts, almonds, raisins, sunflower seeds, sunflower oil, green pumpkin seeds, nutmeg and maple syrup. So what are you waiting for? Simply order a packet and follow your diet regime from today!